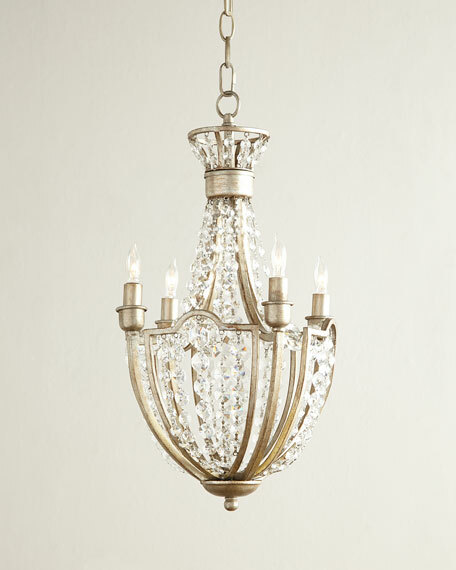 Petite chandelier draped in strands of octagonal crystal drops. Steel frame with vintage-gold finish. Approximately 12"Dia. x 19"T with 5"Dia. ceiling canopy and 4'L chain. Weight, 5.72 lbs. Boxed weight, approximately 14 lbs.